You are here: Home / Doll Room / $5 Doll Dresses! 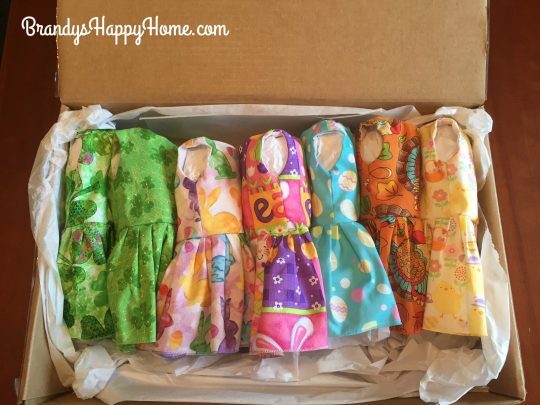 I am THRILLED to share with you a fantastic Etsy shop that offers doll dresses for $5 each. 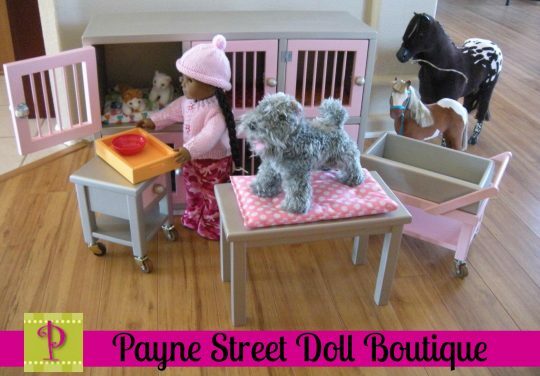 This shop is called Dresses for Dolls. 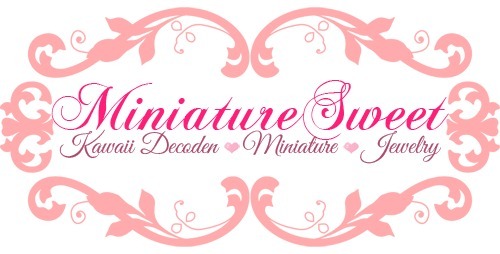 You can find this shop here: https://www.etsy.com/shop/Dressesfordolls . 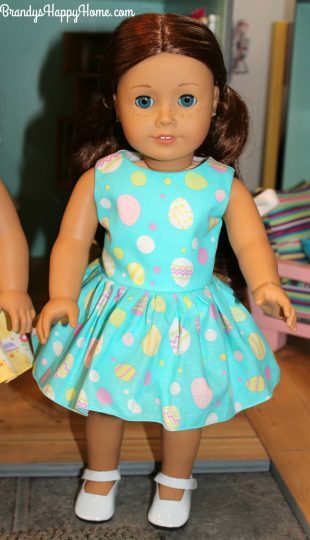 These dresses fit America Girl dolls and other 18 inch dolls. 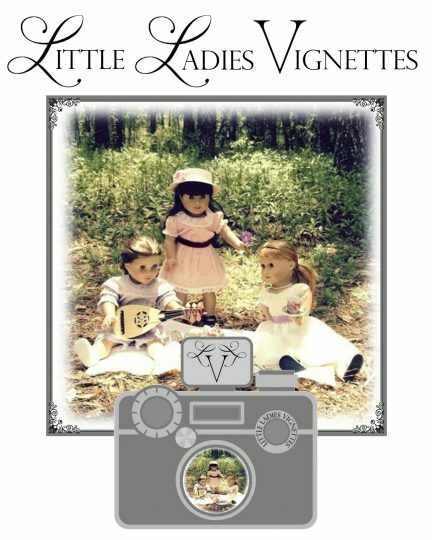 When I first heard of this store, from my friend Karen’s blog http://karenmomofthreescraft.blogspot.ca/2017/01/5-dressed-for-dolls-madelon-fun-etsy.html I was a little skeptical. 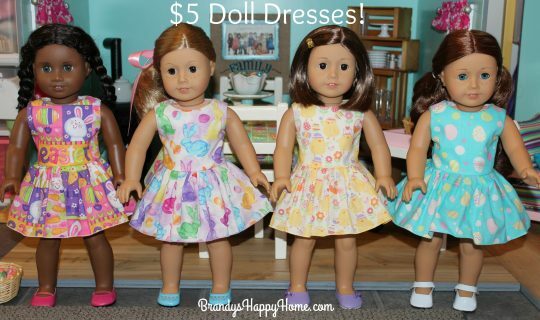 Could a doll dress that cost $5 be of good quality…especially when played with by little hands?? 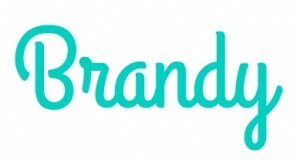 So I took a leap of faith and ordered SEVEN dresses! I paid $35 for the dresses and $6 shipping; $41 is still cheaper than only ONE of the dresses that I have purchased from American Girl. I was delighted when the doll dresses arrived to find them of very good quality! The dresses arrived nicely packaged. Each dress is filled to tissue paper to keep it from getting wrinkled. 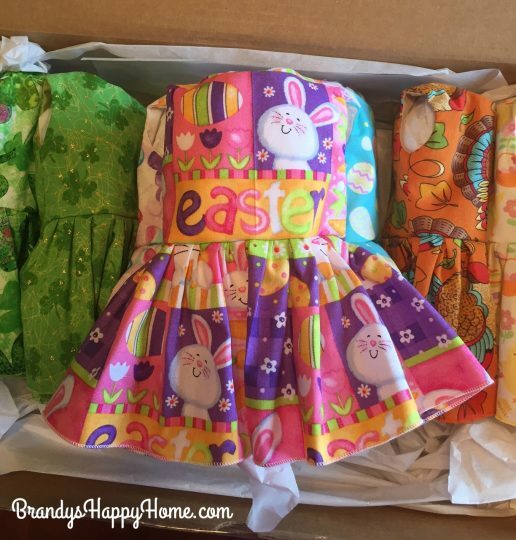 I ordered two St. Patrick’s day dresses, four Easter dresses, and one Thanksgiving dress. I love the variety of colors and patterns of the fabrics. All dresses are the same dress pattern, just in a different fabric. I found the dresses to be sewn of very good quality. All seams were serged. There is a soft Velcro closure. There are no free threads…everything was neat and tidy. It was great to be able to remove the dress from the package and put it directly on the doll. No ironing needed! 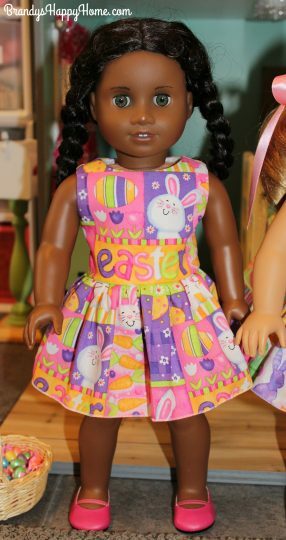 I think the dress below was my favorite Easter doll dress…the colors are bright and vibrant. The water color bunnies on this fabric are so playful. These Easter chicks are so darn cute. The owner and seamstress, Lynn, does a great job at picking out the fabric choices. It’s not Easter without the eggs! 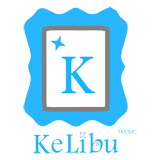 Plus, aqua is a favorite color in this house! Dresses for Dolls also makes dresses for 14.5 inch dolls that cost $6. They also make doll PJs an jackets. Go check out https://www.etsy.com/shop/Dressesfordolls . 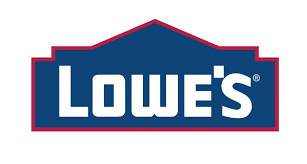 I look forward to buying from this shop again! 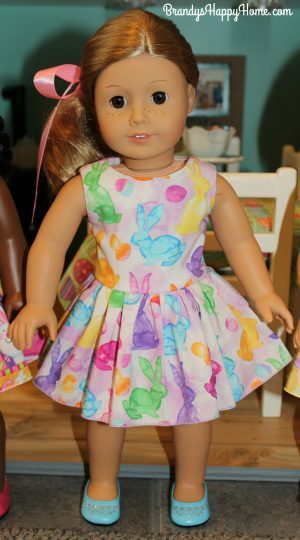 Previous Post: « Doll Easter Treats GIVEAWAY! Excellent craftmanship at affordable prices. Loved every dress I purchased. Cute. The fit is nice and the patterns are at a decent scale. I think these well-made dresses are a great bargain! I completely agree Madelon! I can’t wait to get more! Hi Barb! I use a combination of older and newer dolls. These dresses fit well on both.